As the Art Deco style swept through Europe and the USA, a new age of furniture design emerged, quite different from all that came before. 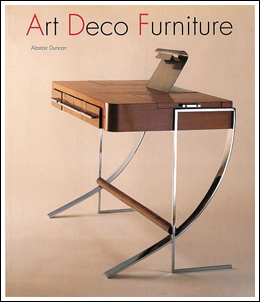 The ultimate furniture artists were French, with Ruhlmann leading the group. This stunning book showcases the work of over 80 different architects, furniture and interior designers shown in both new color photos and original B&W settings. 192 pages, PT, 9" X 10-1/2", 312 illus (68 color).